Welcome to The Lexington Apartment Homes, the premier apartments in Grand Prairie, Texas. The Lexington Apartment Homes offers stunning studios as well as one and two-bedroom apartment homes. Our spacious floor plans feature a fully-equipped kitchen, hardwood and carpeted flooring, and oversized walk-in closets. 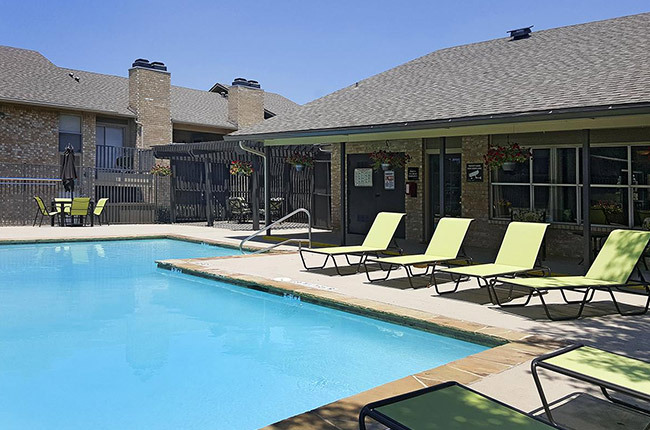 We also offer residents a variety of amenities within our beautifully landscaped community including a shimmering swimming pool, a community clubhouse, and an on-site laundry facility. The Lexington Apartment Homes cares about our residents, which is why our gated community boasts 24-hour courtesy patrol. We take pride in our outstanding management staff that prioritize providing you with the service that you deserve. Discover all that we have to offer at The Lexington Apartment Homes by clicking the "Contact" tab to inquire further! The Lexington Apartment Homes is located near Downtown Dallas, Interstate 30, and George Bush Turnpike, so you'll always have the convenience of being near to premium shopping, dining, and entertainment opportunities. Do you need to make a quick grocery run? You can check every item off your list at the local Albertsons or the Grand Prairie Market Square. Options for dining include Olive Garden, Texas Roadhouse, and Buffalo Wild Wings. You are also minutes away from Dave & Buster's where you can enjoy both dining and entertainment rolled into one riveting experience. There is also a selection of entertainment venues for families nearby including Alley Cats Entertainment, Six Flags Over Texas, and Louis Tussaud's Palace of Wax. With all you have at your disposal, we welcome you to make The Lexington Apartment Homes your new home!